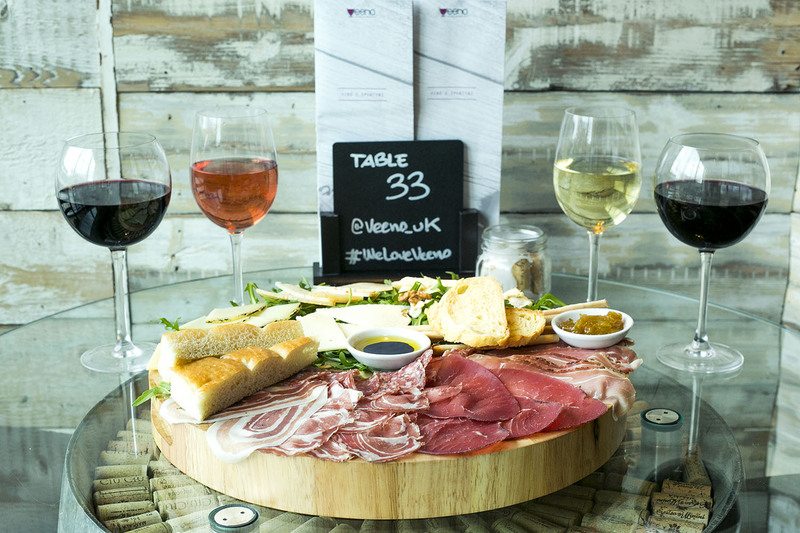 From Italy with wine...Veeno is an Italian wine café which brings traditional Italian aperitivo culture to the heart of Liverpool. Our cellar is stocked with award-winning wines from our family winery, Caruso & Minini, in Sicily. Enjoy them with a platter of 'spuntini' (cheeses and cold meats) sourced from small, artisan producers in Italy. Or if you're craving something sweet, try our homemade tiramisu (we've been told it's heavenly). Want to make an evening of it? Book one of our wine-tasting experiences. They bring together everything we do: our family wines, our spuntini, our homemade tiramisu – and our knowledge of good wine, which we love to pass on to our customers. In the spring of 2013 something extraordinary happened. Two Italian guys in their twenties met in Manchester and found out that they shared a unique passion; they both loved – and missed – the Italian aperitivo – the ritual of drinking, nibbling and relaxing after work... read more.